Great news! 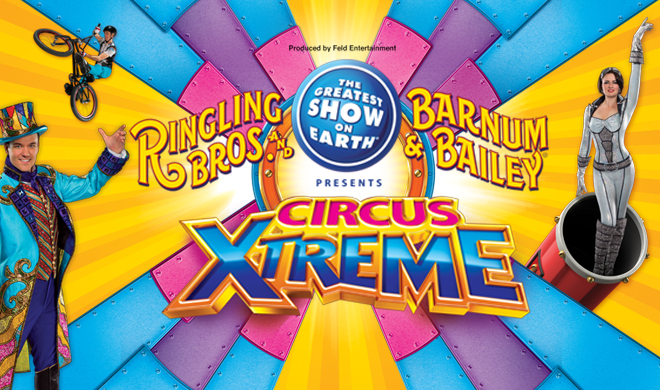 Ringling Bros. and Barnum & Bailey is playing The Palace of Auburn Hills, November 10 - 13, and tickets start at just $10! We love attending the circus at every opportunity. When we were visiting Florida a few years ago, we were lucky enough to go to The Ringling Circus Museum. It provided so much history and so many more circus stories, and I have memories of that trip too every time we get to celebrate at the circus near our home again. Ringling Bros. and Barnum & Bailey® Presents Circus XTREMEIt’s time for your family to be amazed byall the X-TRAORDINARY things you know and love about America’s favorite live family entertainment experience. Be astonished by UN-XPECTED circus spectacles you’ve never seen before and that can’t be seen anywhere else but at The Greatest Show On Earth®. Get ready for anX-HILARATING adventure with X-TRAORDINARY circus artists and magnificent X-OTIC animals, like our big cats! It’s time to awaken the spirit ofChildren Of All Ages and stir the imagination of your family! Hope to see you and your family there too! We're not fans of the circus, but I know a lot of people that are. I'm not a big circus fan in general just because of the animal-treatment side of things. I know lots of families with young children who'd love to check this out while it's in the area though. The circus always interests me...I would love to go to the museum and hear about the behind the scenes! Always enjoy watching the kids faces at the circus.